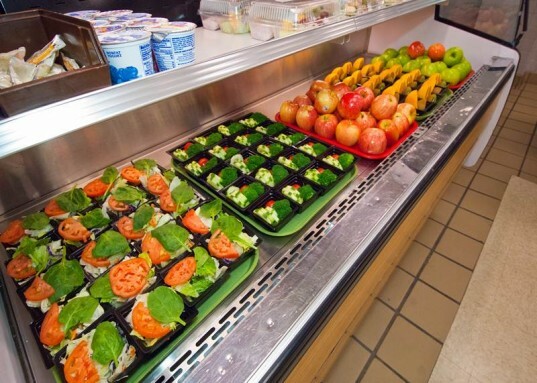 We’re not huge fans of the USDA school lunch program. Not only has Congress attempted to keep school lunches unhealthy, to the point of declaring pizza a vegetable, but overall, school lunches contain some horrid stuff. From pesticides to too much fat and sodium to flavored milk, fizzy fruit and fast food, school lunches throughout the last decade have become nightmarish in quality at most schools. Your child, thus far, has been better off with a sustainable healthy packed lunch. Now though, thankfully, there’s hope on the horizon. 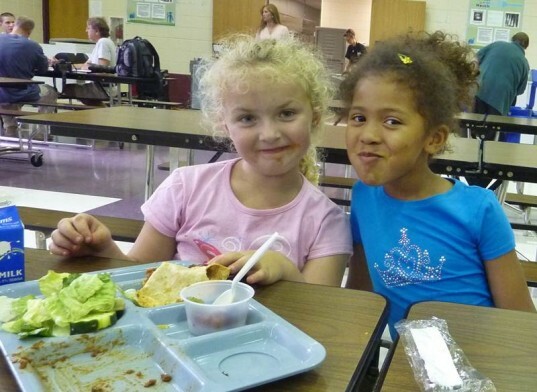 Thanks to the Healthy, Hunger-Free Kids Act championed by the First Lady and signed by President Obama, the USDA is making the first major changes to all school meals in 15 years. Hopefully these changes will stick and result in a healthier generation of children. Making sure that students are offered fruit and vegetable choices every day of the week. Substantially increasing whole grain food offerings. Offering students only fat-free or low-fat milk varieties. Serving proper portion sizes that correlate with age of children being served. An increased focus on saturated fat, trans fats and sodium reduction. The final nutrition standards (pdf) released on January 25, face some challenges. The new rules do provide quite a bit of time for schools to implement key changes – the changes will be largely phased in over a three-year period, starting in School Year 2012-2013, but the cost to schools is high. Right now, school budgets are at an all-time low, and it’s estimated that the new rules will add an extra $3.2 billion to school meal costs over the next 5 years. While the cost is considerably less than what was first estimated, schools are stretched as it is. As noted above, Congress hasn’t been supportive of healthier school lunches in the past, so it’s anyone’s guess how easy it will be to implement these changes. Additionally, the school lunch changes are strung out over enough time (pdf) that the updated health standards won’t benefit all kids. Still, it’s estimated that 31.6 million children in more than 99,685 schools eat school lunch daily, so we’re happy to see school lunches moving in a healthier direction. Hopefully we’ll see some healthier, happier kids as a result. Lead image by sykospike via sxc. We're not huge fans of the USDA school lunch program. Not only has Congress attempted to keep school lunches unhealthy, to the point of declaring pizza a vegetable, but overall, school lunches contain some horrid stuff. From pesticides to too much fat and sodium to flavored milk, fizzy fruit and fast food, school lunches throughout the last decade have become nightmarish in quality at most schools. Your child, thus far, has been better off with a sustainable�healthy packed lunch. Now though, thankfully, there's hope on the horizon. Thanks to the Healthy, Hunger-Free Kids Act championed by the First Lady and signed by President Obama, the USDA is making the first major changes to all school meals in 15 years. Hopefully these changes will stick and result in a healthier generation of children.